Prime will be one of the first broadcasters in the world to screen a series about the history of music recording that was co-produced by the late ‘Fifth Beatle’, Sir George Martin. Soundbreaking will launch the latest season of Prime Rocks on May 3, from when it will air 9.30 Wednesdays as part of a new-look line-up that includes The People vs OJ Simpson: American Crime Story as its lead-in. The eight-part series was five years in the making and boasts more than 150 interviews with the likes of Ringo Starr, Rick Rubin, Cat Stevens, Elton John, Joni Mitchell, Questlove, St Vincent, Stevie Nicks, Bonnie Raitt Dave Grohl, Quincy Jones and Mark Ronson. They chronicle everything from The Beatles’ pioneering of multi-track technology and the synthesised stylings of Stevie Wonder to disco-era drum machines and the modern art of sampling. 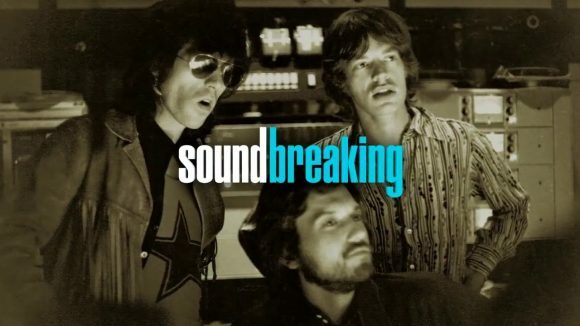 Soundbreaking last month had its world premiere at the SXSW Film Festival in Austin, Texas, but won’t screen on America’s PBS network until November. Subtitled Stories From the Cutting Edge of Recorded Music, one episode focuses on Martin’s work with the Beatles, Rolling Stone reports. Subsequent episodes include Phil Spector’s exploration of the Wall of Sound, sampling in hip-hop, the art of the music video, Miles Davis and Marvin Gaye’s expanding of the LP, Stevie Wonder and Motown, Giorgio Moroder’s impact on dance music and the creation of Adele’s “Rolling in the Deep.” Following Martin’s death, the show’s creators compiled a tribute to the producer of various Soundbreaking artists discussing Martin’s legacy.